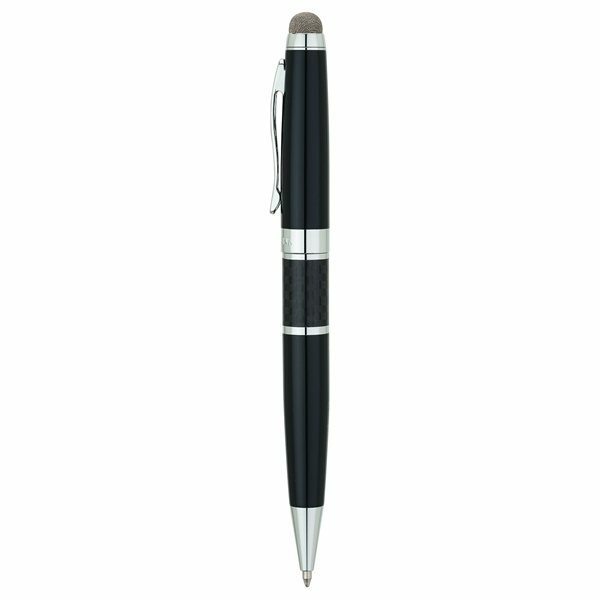 Brass twist-action Bettoni pen features a carbon fiber accent, chrome clip & trims, USA-made ballpoint refill and a durable conductive fiber stylus tip that works with capacitive touch screen devices. Finish / Material: Brass, Carbon Fiber. there is no 'least' in connection with this product, service, delivery It was all first class all the way. nothing to dislike!! I know that my customer will be very please. I liked most the quality for the price and the fact. Rose was a huge help with getting the layout and colors done. Her help was instantaneous. Love this product! Great value, lots of bang for the buck. the price was right, the product precisely what we needed and the process was swift, friendly and in our hands before we knew it!